A Local Family Owned and Operated Company. 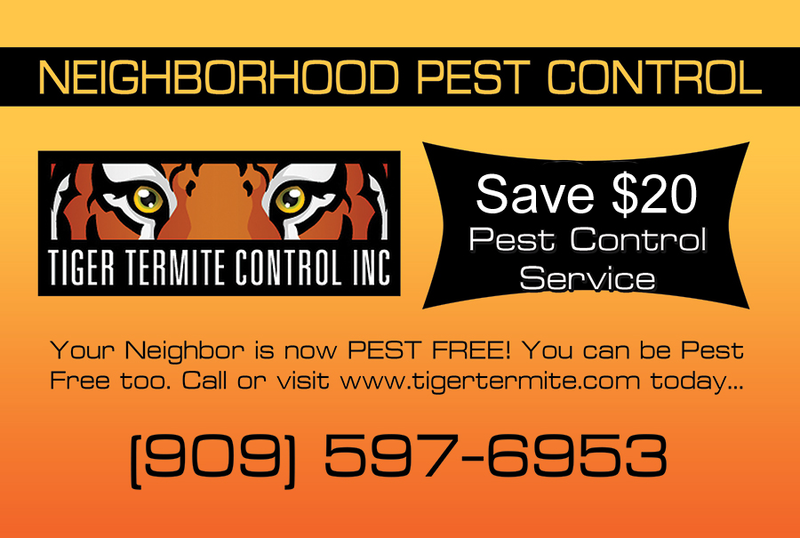 Founded in 1997 by Paul and Kathleen Davis, Tiger Termite and Pest Control strives to provide the most professional, eco-friendly exterminating service in Southern California. At Tiger Termite, we believe in giving back to our community. We are proud to share a portion of our proceeds with the following four charities: Alzheimer’s Foundation, Multiple Sclerosis Society, and Autism Speaks. Because we are a small company, your satisfaction means everything to us. Thank you for learning about our company; we look forward to solving your termite and pest problems. Please call (909) 597-6953 or use the form to contact us with questions or comments. Absolutely the best!! Over the many years I have been doing business with you one word comes to mind “trust”. A company that you can count on! One of a kind! Thanks for being there for us always.